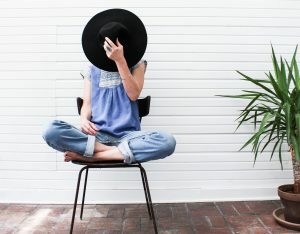 Master peer-to-peer fundraising by connecting with your incredible supporters — that is, your P2Peeps! Download our free eBook to retain more peer-to-peer donors and fundraisers! Looking for a way to prepare your peer-to-peer fundraisers before your event starts? Try a participant toolkit! 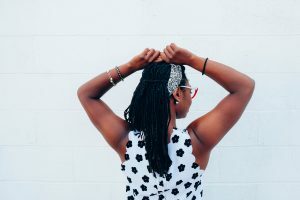 You can include an overview of your organization and/or event and its purpose, fundraising tips, promotional materials, and more. Here are a few examples from current Qgiv clients! Think of your participants as advocates for your organization. You want your advocates to know their stuff, right? Help them out by providing an overview of your organization, your event, and your event’s purpose. When participants are talking about your peer-to-peer event, they’ll know just what to say! 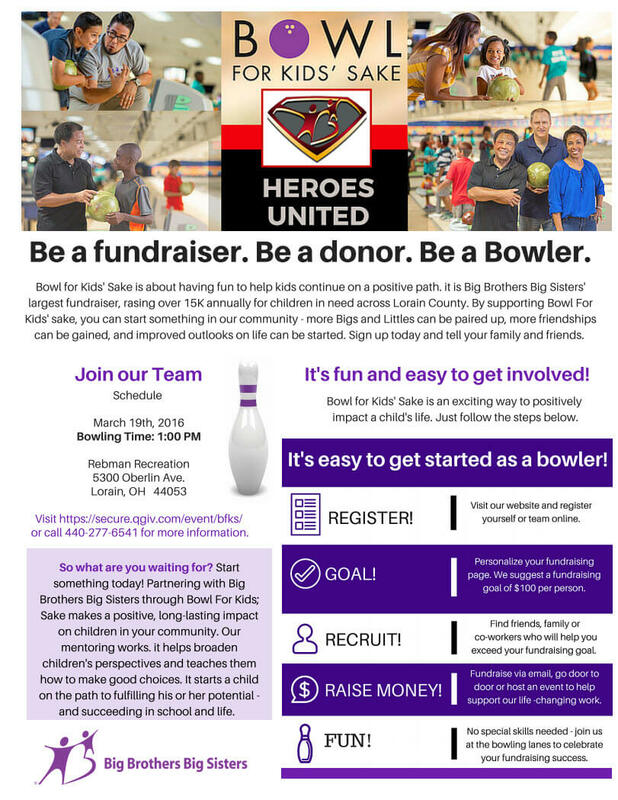 Here’s a great example from Big Brothers Big Sisters of Lorain County. 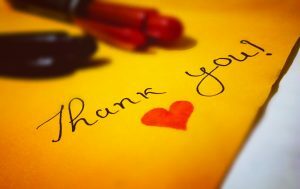 Ideally, all events should include a pre-event fundraising workshop of some sort, be it in the form of a meet-up or a video. If you can’t do that, be sure to at least provide your participants with a list of tips to help them be more effective fundraisers. Here’s a tip sheet we developed for Qgiv clients to use. 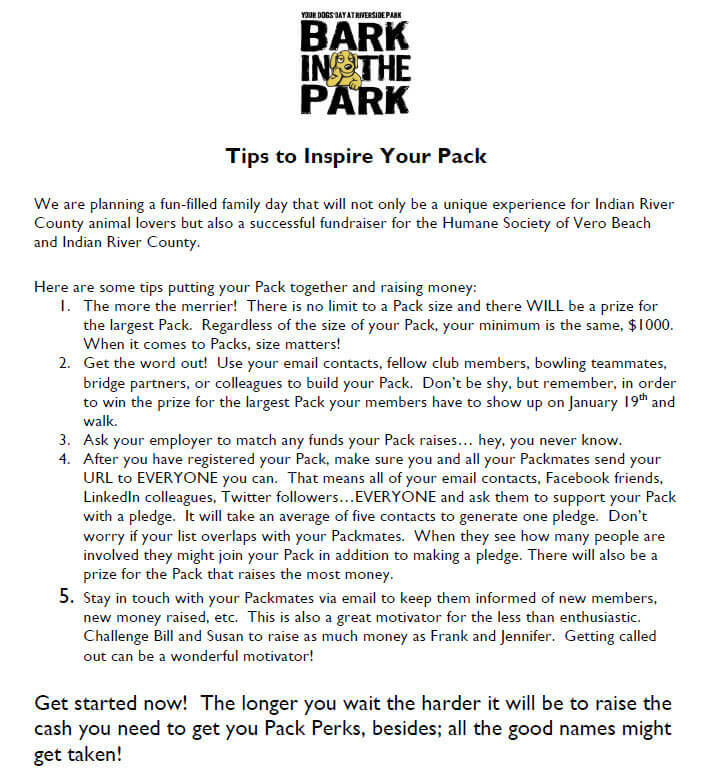 We really like this tip sheet from the Humane Society of Vero Beach, which provides tips specific to teams participating in their Bark in the Park event. BONUS: Need a little inspiration? You can download their entire participant fundraising toolkit below! It’s awesome! Create a page answering important questions about donation deadlines, cash and check donations, event rules, maps, and any other important information participants might need to know before the event. 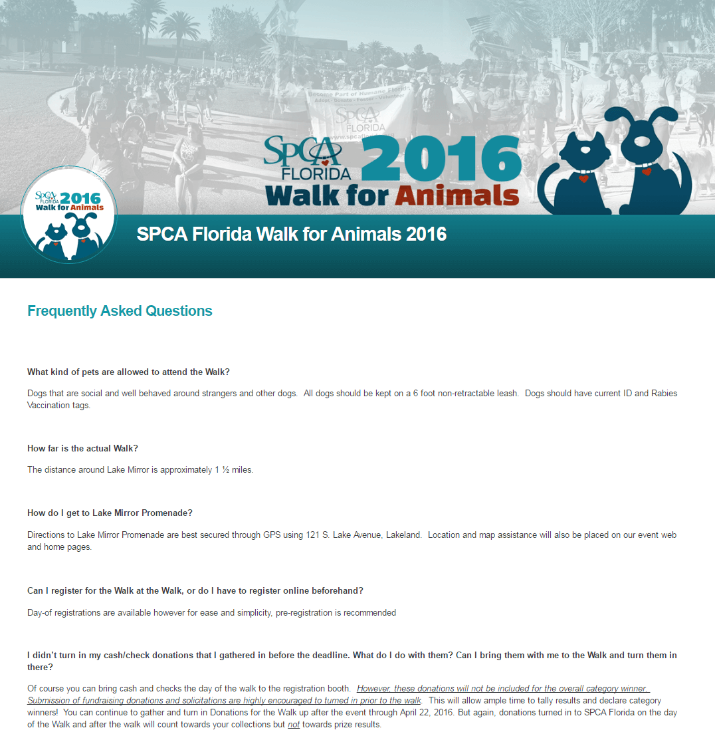 SPCA Florida provided a comprehensive list of FAQs for their registrants—below is just a sample of their list. 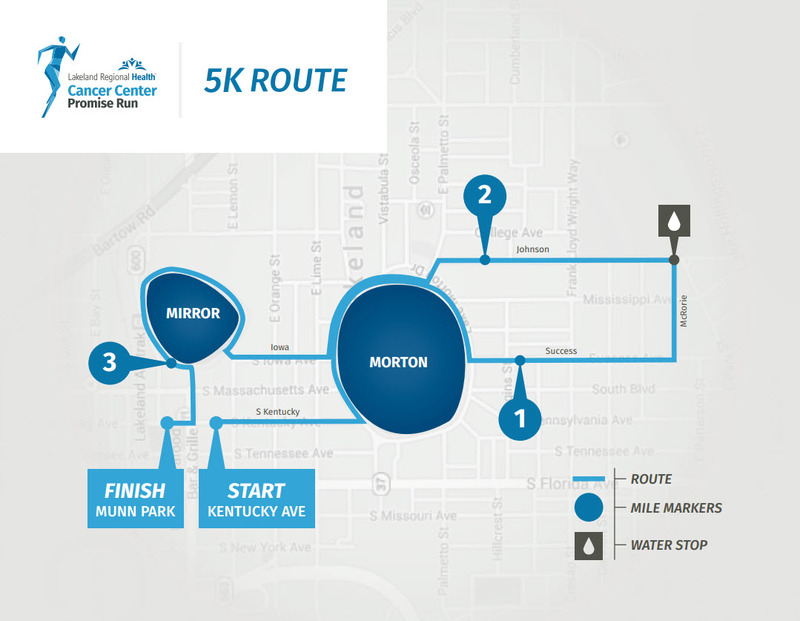 Lakeland Regional Health Foundation answered a frequently asked question by providing a handy course map for their Promise Run 5- and 10K event. Let your participants promote your organization and event! Be sure to include some printable handouts, posters, and images they can distribute to potential supporters. 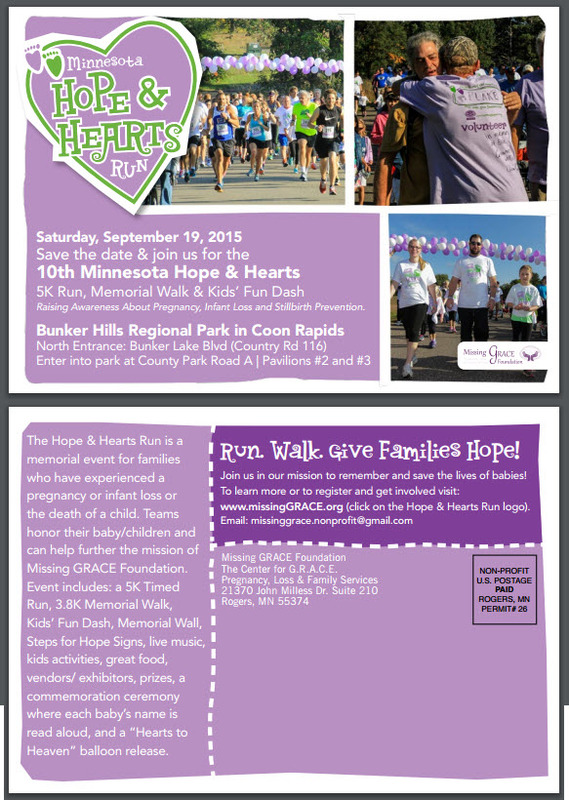 Check out the printable postcard that Missing Grace Foundation included for their participants to send out before their Minnesota Hope & Hearts Run/Memorial Walk. These are just a few ideas to get you started on creating a toolkit for your peer-to-peer participants. If you have any more ideas, be sure to share your knowledge by leaving a comment!